The. 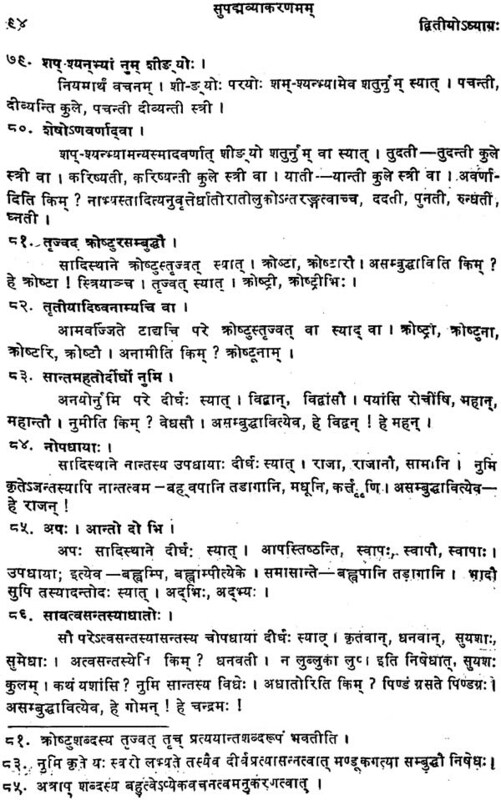 Supadma-Vyakarana, based on the Paninian system, was written by Padmanalika Datta in the 14th Century of Christian era. 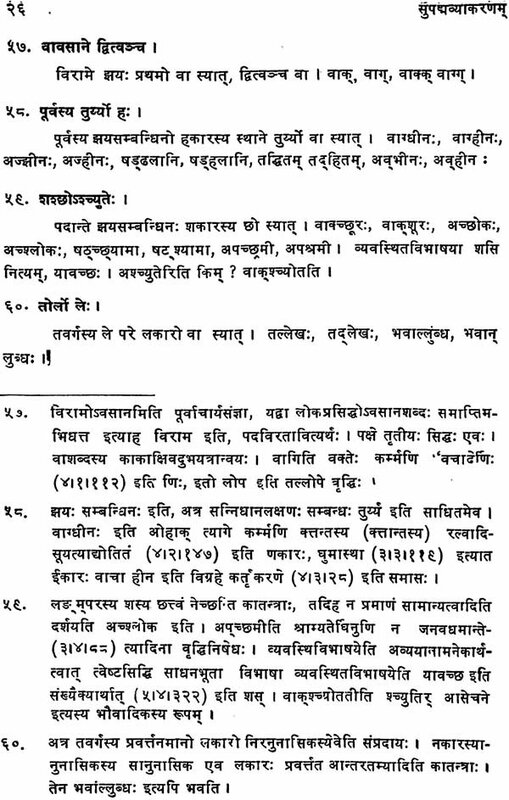 Padmanabha or Padmanabhadatta was an inhibitant of BHORA grama, a few miles away from Dharbhanga in the Mithila region. 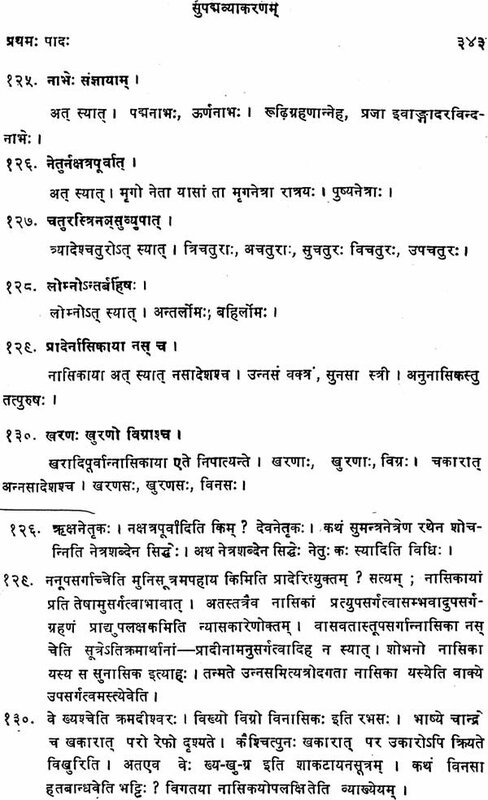 On the basis of genealogy furnished by Padmanabha himself, he was born in the family which produced eminent scholars like Jayaditya & Halayudha. 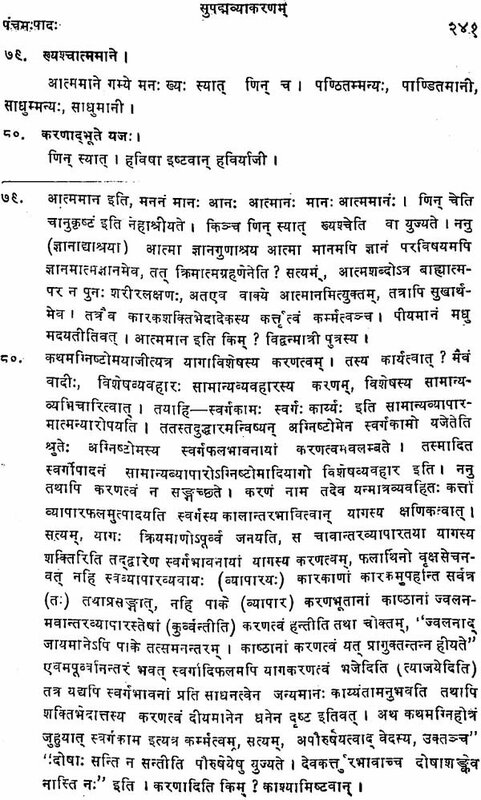 The Supadma Vyakarana gives a clear and full idea of Sanskrit grammer to ordinary students, but at the same time leading them to Paninian. School if they wanted to be experts in Sanskrit Grammer. Its study was confined in the districts of Jessore. Khulana and some terriroties of Nainahati and Bhatapara, now in Bangla Desh. Since the text of this system was available only in the Bengla-Characters, this is the first attempt to present it in the Devanagari characters, with a view to made this system available for the schools and to preserve it from being extinct. The Supadma-Vyakarana, founded by Padmanabhadatta, occupies a prominent place among the Post-Paninian systems of Sanskrit grammar. 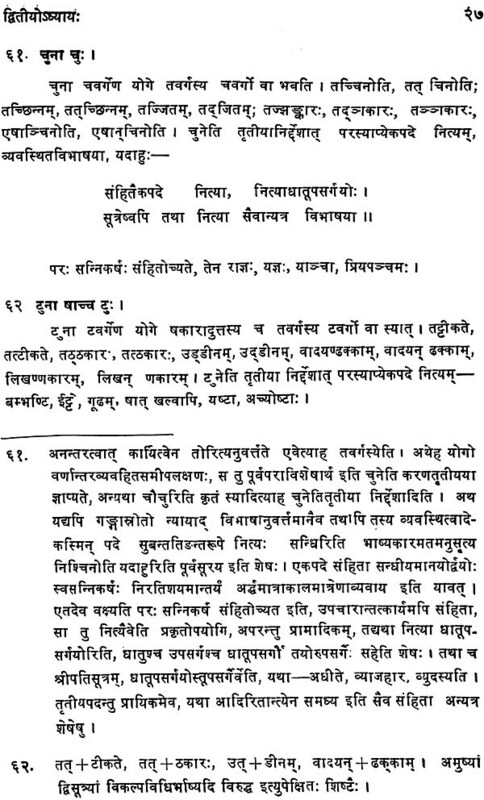 Padmanabha or Padmanabhadatta wrote this Vy5karana in the 14th century of Christian era in Bengal. Though the Paninian system, including the Varttikas of Katyayana, the Mandbhasya of Patanjali with several other accessories, is still regarded an authority on Grammar, an independent channel of Sanskrit grammar started in the 1st century of Christian era with the composition of the Katantra-Vyakarakia by garvavarman and it flowed continuously till the 14th centry assuming different names and different forms e.g. 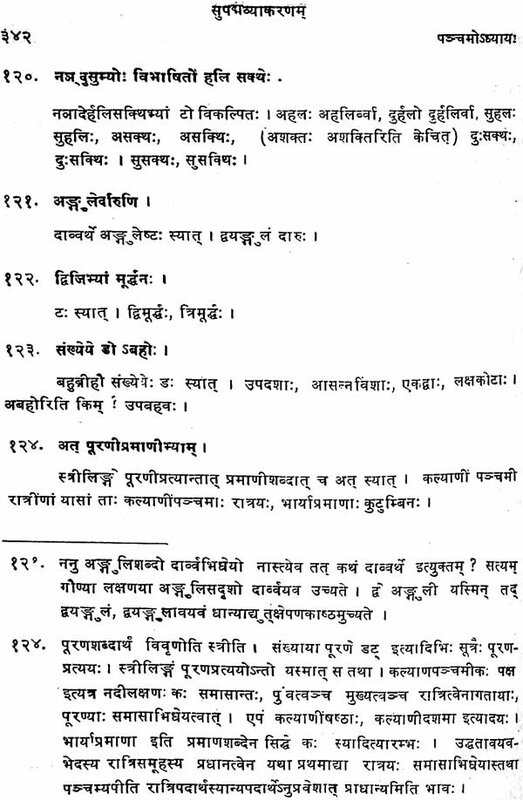 Katantra, Candra, Jainendra, Haima, Mugdhabodha, SArasvata, Sarasvati-Kai:Itbabhararja, Supadma and Sarbk*iptasara. The main object of the founders of these systems undoubtedly had been primarily to teach the rules of classical Sanskrit language in the shortest possible way, free from cumber-some and tedious method adopted in the Astadhyayi. The Supadma-Vy5karana too, was meant to present a complete and clear picture of Sanskrit grammar for the common students. The accessories, commentries and sub-commen tries written later on right from the time of its composition upto the 18th century, are sufficient enough to determine the place and popularity which this system once had among the scholars. 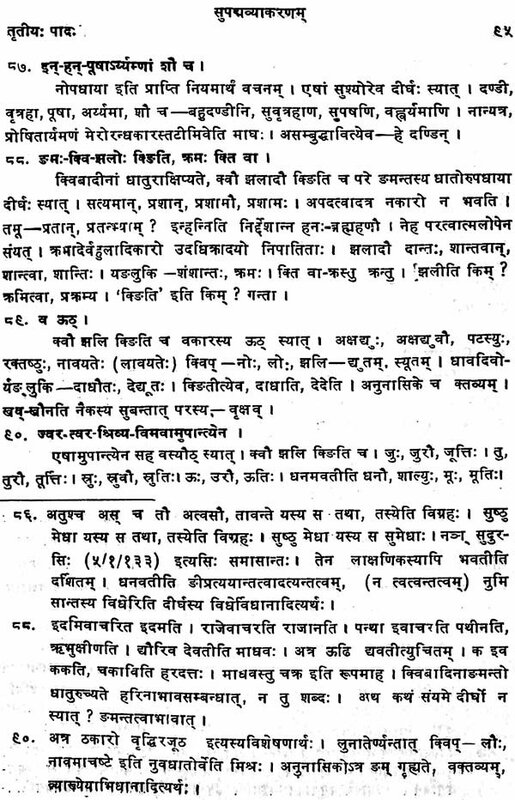 Sanskrit-Vyakarana" published in 1915 nor Pt. 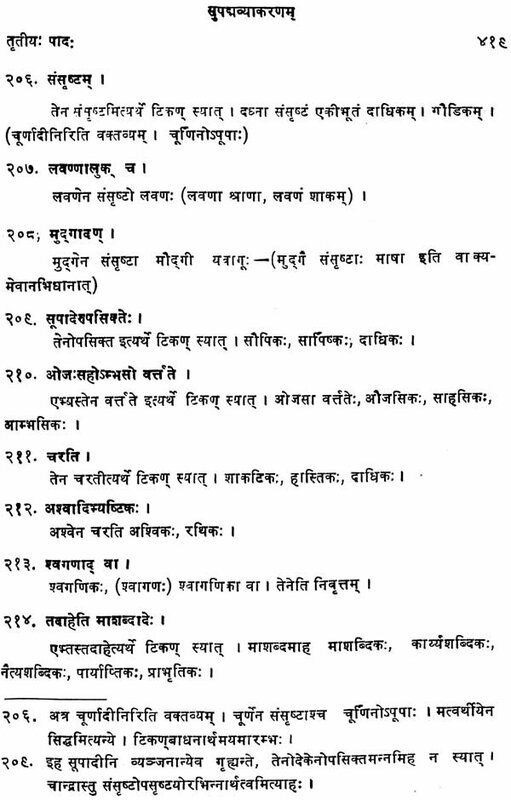 Haraprasada Sastri mentioned in his work "Descriptive Catalogue of Sanskrit, Manuscripts, Vol.VI of Royal Asiatioc society of Bengal, published in 1931. 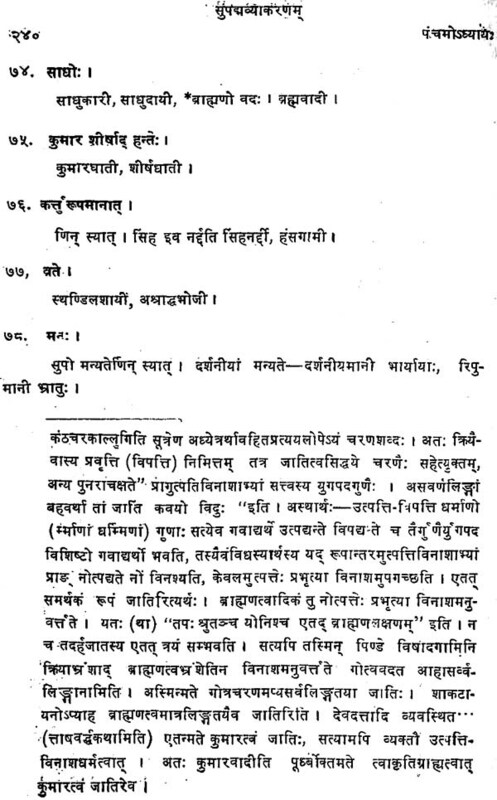 Now this Supadama-Vyakarana in Devanagari edition, is presented before the scholars. In 1960, I undertook the study of Post-Paninian systems for my Ph-D. work in the University of Delhi. Out of more than a dozen Post-Panian systems, I could hardly get a few because even the very texts of these systems were not available. However I succeeded in tracing these works in Calcutta but in Bengali characters. After completing my Ph. D., I thought of transcribing the three important texts i.e. The Katantra-Vyakarana, (2) The Supadma-Vyakarana and (3) The Samksiptasara-Vyakarana. 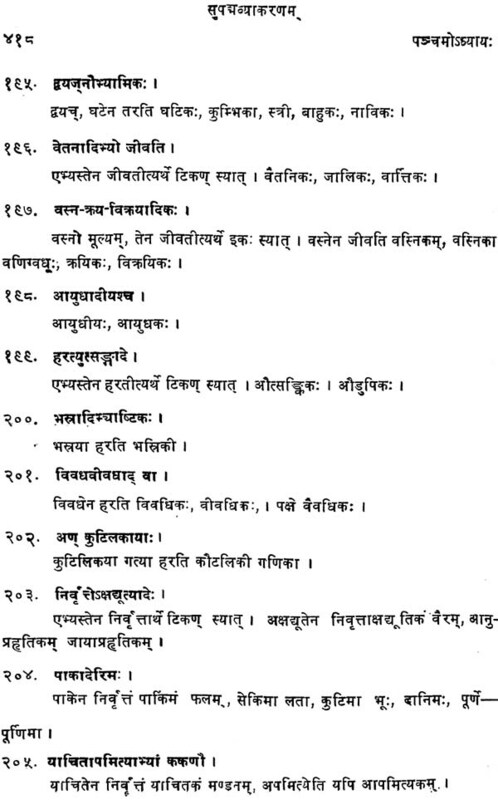 All of these books were published about 60-70 years back from Calcutta. But now these books were of no use and were rather going to be extinct. Being in Bengali characters but the language being Sanskrit, no Ben2171 knowing person could make out any sense of them. For a non-Bengali knowing scholar, the Bengali characters were unintelligible, hence going to be forgotten. 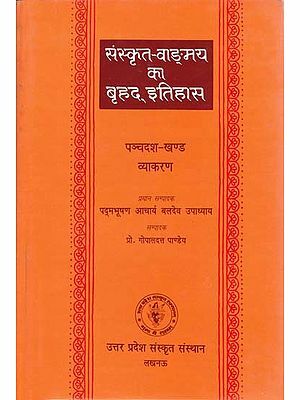 After a gap of about 20 years, in 1985, I published the Katantra-Vyakarana of Sarvavarman with the financial assistance from university Grants Commission. And now I am presenting the Supadma-Vyakarana of Padmanabhadatta. The Samksiptasara of Kramadisvaraa has been sent to the press. It is hoped the same will be out very soon. I express my deep gratitude to my teachers Dr. Ramgopal, former Vice-Chancellor M.D. University, Dr. R.V. Joshi, Professor Deptt. 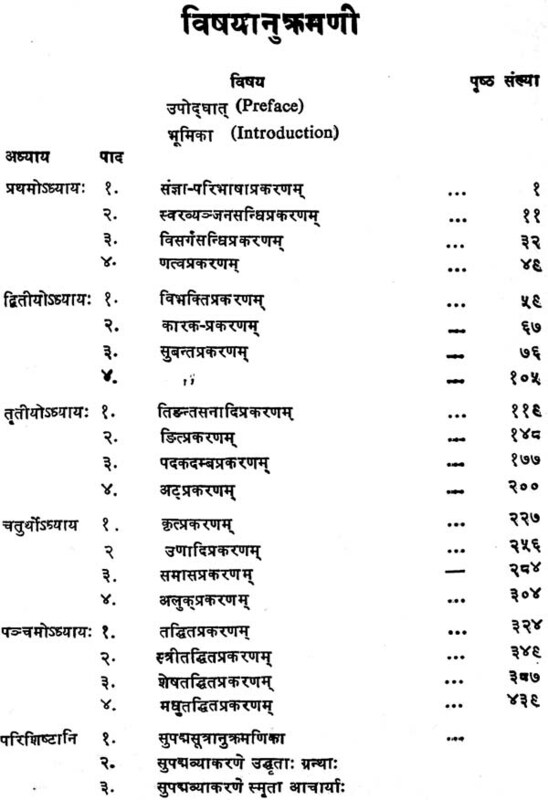 of Sanskrit, University of Delhi and Prof. S.P. Chaturvedi, formerly officer on special duty, Ministry of Education. I extend my thanks to Prof. Pushpendra Kumar Sharma, University of Delhi who has always been a source of inspiration to me in my academic pursuits. In the end, I wish to record my thanks to Shri Kishore Chand Jain, Propriter Bhartiya Vidya Prakashan Delhi & Varanasi, the onerous responsibilities of his organisation, took keen and personal interest in the timely publication of these books both the Katantra and the Supadma-vyakarana.